"INFMANYE" LEADED GLASS ENTRY DOOR AND LARGE SIDELIGHT WINDOWS CUSTOM AT GLASS BY DESIGN. 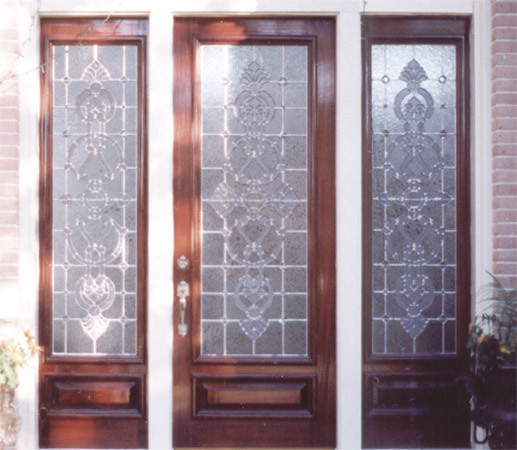 Intricate designs in a background of gluechip glass with faceted jewel accents for the door and side light panels. Choose your own colors and sizes. Panels are made to fit your openings. These are NOT imports! See the quality! Website designed, built and maintained by Marian Eide. 1997 – 2014 Glass by Design – All Rights Reserved.